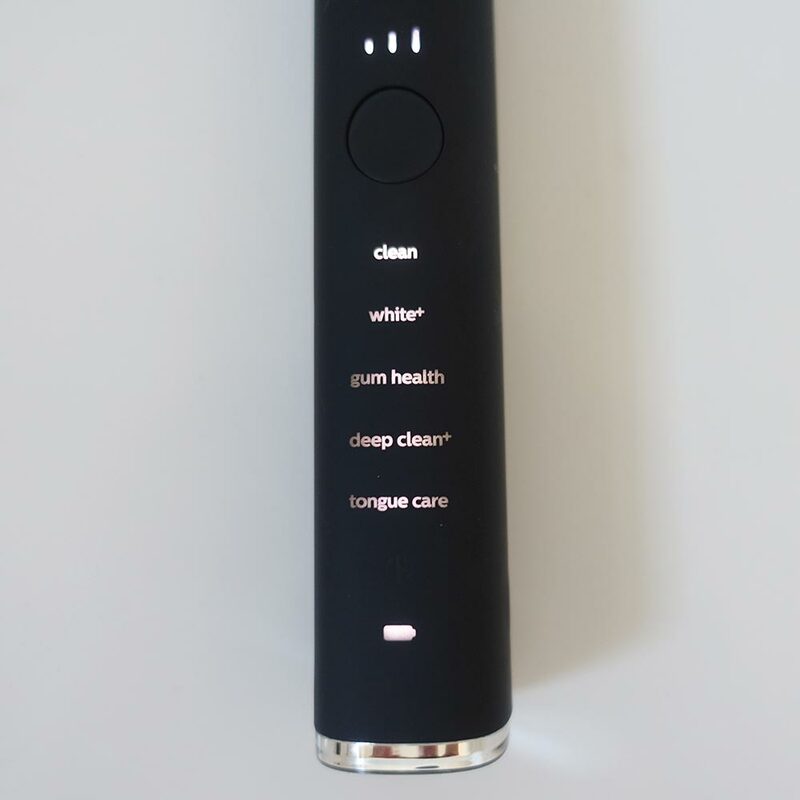 The DiamondClean Smart is a fantastic electric toothbrush, there are few things wrong with it. We would suggest technically it is better than FlexCare Platinum Connected. But, the overriding issue is that the price of the DiamondClean Smart is at a level that very few can really justify when you consider the benefits for the price, given the large amount of similarities between the brushes. It is at least twice the price of the FlexCare Platinum Connected and we think most would rather save the pennies and would really want to see more benefits to make it a justifiable purchasing decision. What both have is state of the art connectivity and app tracking that allow you to take advantage of the best tech to improve your oral health and for us that is of the uppermost importance. The DiamondClean Smart comes with 5 cleaning modes (Clean, White+, Deep Clean+, Gum Health and Tongue Care) compared to the 3 cleaning modes on the FlexCare Platinum (Clean, White and Deep Clean). Both offer 3 intensity settings although controlled slightly differently. The DiamondClean Smart comes with 4 brush heads (1 x Premium Plaque Control, 1 x Premium Gum Care, 1 x Premium White and 1 x TongueCare+ tongue brush) compared to the 1 x AdaptiveClean with the FlexCare Platinum Connected. The DiamondClean Smart has a premium travel case included, the FlexCare Platinum comes with a much more basic travel case. The FlexCare Platinum Connected comes with a UV sanitiser, the DiamondClean Smart does not. The DiamondClean Smart comes with a glass charging stand compared to the plastic charging stand with the Platinum Connected. 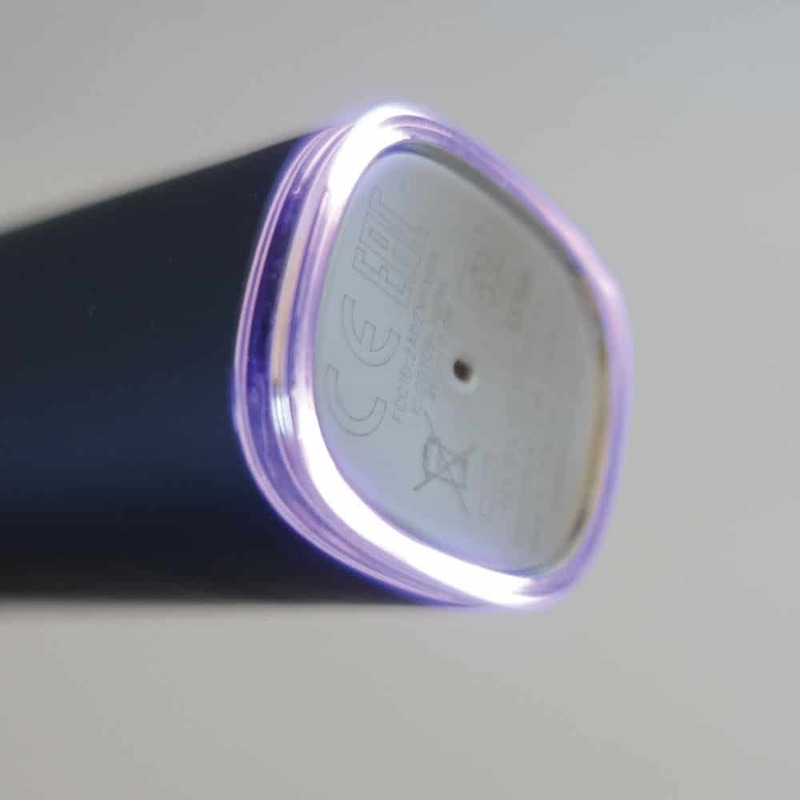 The DiamondClean Smart has an LED ring that illuminates when too much pressure is used when brushing, the Platinum has a pressure sensor but no light. The DiamondClean Smart potentially offers better battery life. The DiamondClean Smart HX9954/53 comes with a brush head storage compartment. The DiamondClean Smart is available in more colour options. Detailed Comparison: What’s the difference between the Sonicare FlexCare Platinum Connected and the Sonicare DiamondClean Smart? Despite the differences these are two brushes that have quite a few similarities and are far from the entry level models. 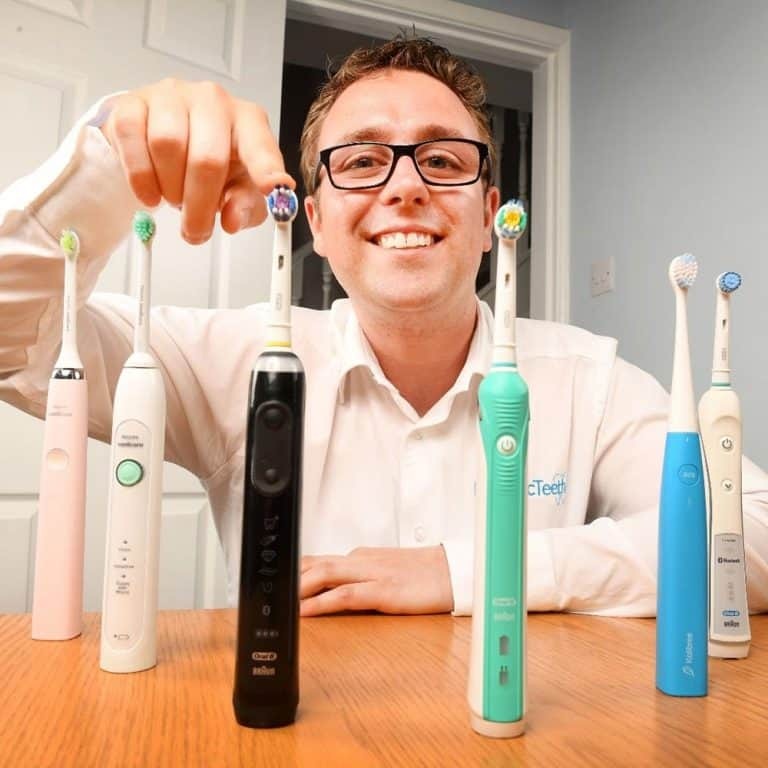 The DiamondClean Smart is in Sonicare’s range and in our eyes the most premium, but one of the killer features is the Bluetooth connectivity which is present on the FlexCare Platinum Connected. A brief way of describing the differences here is that the FlexCare Platinum Connected is a detuned DiamondClean Smart, but it certainly has all of what you need, the DiamondClean adds a few more bells and whistles. There is only one version of the FlexCare Platinum Connected, the HX9191/06 with an RRP of £270. However, some retailers refer to it in different ways, but they are all the same. The FlexCare Platinum Connected comes in just White colour. It certainly looks more clinical than the DiamondClean Smart that is available in three colours. As might be expected the design between the two brushes is slightly different. The overall shape and size is very similar but there is a different button configuration and cleaning mode layout. Referring to the hands on images throughout this comparison will give you the best visualisation of these differences, but for the sake of comment, the DiamondClean Smart has a power button to switch it on and off as well as a mode/intensity button. In between these buttons are three small bars that light up in relation to the intensity the brush has been set too. Below the second button are the five cleaning modes that light up when selected, they are essentially invisible when not in use. Below these is a brush head replacement reminder icon and a battery status icon. 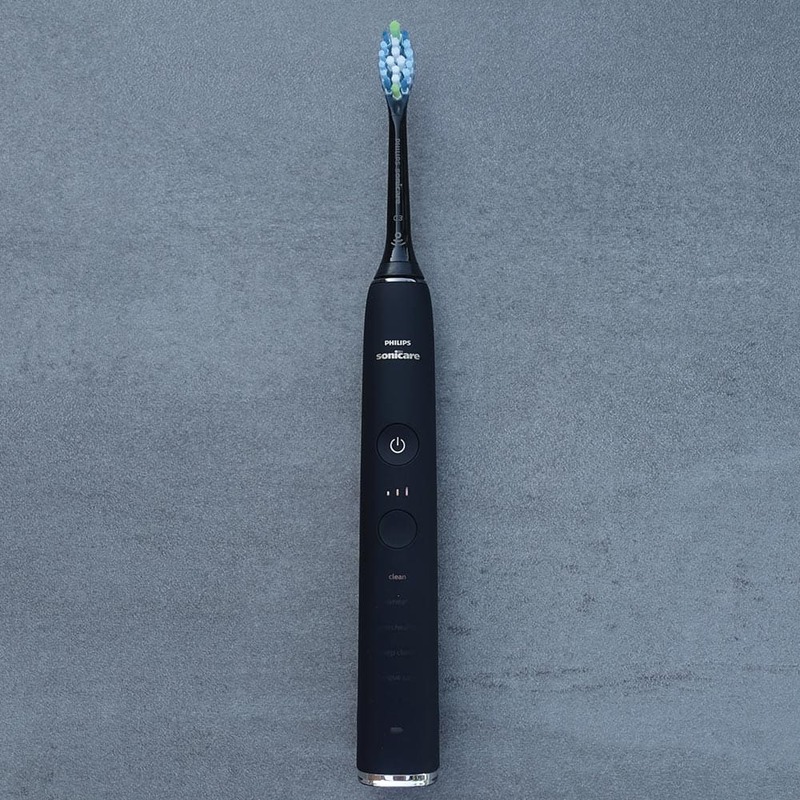 The FlexCare Platinum Connected on the other hand has a power button and below it three dots that light up in relation to the intensity level the brush has been set to. One of the biggest differences is then the button to change the intensity, rather than the rounded button on the DiamondClean Smart, the FlexCare has a stretched oval with a + and – icon, much like a volume button on a remote control. Below this are the names of the three cleaning modes with a single LED in between each name. The LED’s light up green when selected. Towards the bottom of the handle is then the button that changes the cleaning modes, so this is separate to the intensity button. There is then the battery icon below this with three LED’s. A notable difference here is that the intensity and cleaning mode can be changed during a cleaning cycle on the Platinum Connected, but both cannot be changed at the same time on the DiamondClean Smart. You need to power the Smart off to change the cleaning mode. As mentioned the cleaning modes are another way in which these models differ. Tongue care is not an option if you select the DiamondClean 9100 variant. The additional cleaning modes on the Smart last for differing amounts of time and may suit some users better than others. That said, the extended Gum Health mode is not available on the Platinum Connected but a similar effect could possibly be achieved by using the clean mode and reducing the intensity from high to low and brushing for almost double the time. It might not be exactly the same but a similar experience. To be used in conjunction with these cleaning modes are the brush heads. The FlexCare Platinum Connected comes with just 1 x AdaptiveClean head. An extra addition in with the DiamondClean is a bottle of antibacterial spray, designed to be used with the ToungeCare+ brush head. All new brush heads for the DiamondClean Smart they achieve essentially the same results as the established range of interchangeable heads available for the FlexCare Platinum Connected, but have been given new names in part because of some features they boast. The heads have built into them a microchip that works in conjunction with those brush handles that have BrushSync mode pairing, the Smart is one. When attached each brush head will automatically change the brush to the ideal cleaning mode on the Smart, a feature not available on the FlexCare. In addition, the Smart will alert you when it is time to change a brush head via an amber/yellow flashing light on the brush handle. The head and brush handle actually work in tandem to monitor how long it has been used for. You can use the new Smart brush heads on the FlexCare Platinum Connected and the older brush heads on the DiamondClean Smart, but the ‘Smart’ features are redundant. If you would like to know more about the differences between the brush heads and how they compare, check out our ultimate guide to Sonicare brush heads. The DiamondClean Smart is arguably beaten when it comes to dealing with sanitation of brush heads. You see the FlexCare Platinum Connected comes with a UV Sanitiser in the box. It is a slightly bulky afair, but it will actually store 2 brush heads and run a cycle to kill off any bacteria on the brush heads. The best the DiamondClean Smart can offer is a brush head storage compartment with one particular model, the HX9954/53. This variant’s brush head storage compartment that can hold up to 3 brush heads, but no UV facilities are present. Additional storage comes with both brushes in the form of a travel case, but it is the DiamondClean Smart that is the better of the two. The FlexCare’s case is a basic yet functional plastic constructed case, in white, it holds the brush handle and two brush heads. The DiamondClean is a much more premium case. Stronger and more rigid, it is finished in soft touch leather and allows in the case charging. It too closes using magnets rather than a hinged clip. 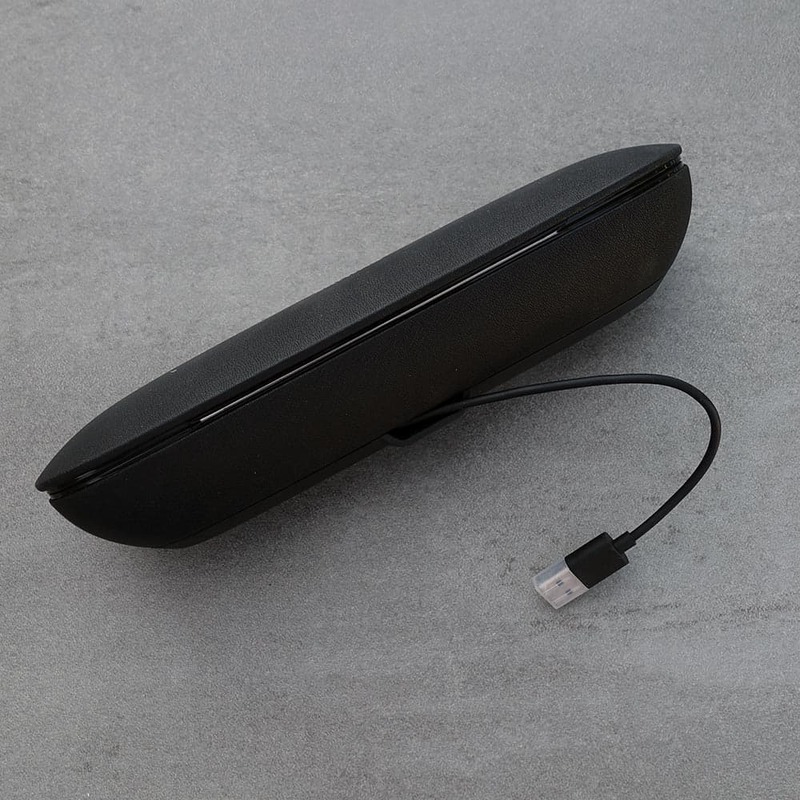 Accessed via a removable panel on the bottom of the case is a USB cable that is hard wired into it. At the other end is a USB connection that can be plugged into a USB socket for charging. The DiamondClean HX9901/14 launched in March 2019, does not come with this travel case. It seems prudent to mention here that both brushes boast approximately a 3 week battery life. In fact we managed 25 days from the DiamondClean Smart compared 19 from the FlexCare Platinum, but on the box, the DiamondClean is actually quoted at 14 days, because if you use the Gum Health mode rather than the standard Clean mode, it runs for longer and uses more power. However another small but potentially beneficial difference in favour of the FlexCare is that the battery indicator gives a bit more feedback. When not on the charger, a single yellow LED indicates a low charge, whilst three green LED’s indicate a full charge. The DiamondClean shines a white light from the battery status icon until it’s about 10% full where a yellow light is emitted. Of course the Bluetooth connectivity is a big feature for both of these brushes and there are no discernable differences that we could tell between how either brush interacts with the app or the resulting logging of data. Both show on screen how you are brushing with indicators on where to focus your brushing. Both do detect excess pressure and show on screen when you are brushing too hard. The DiamondClean does however also have a pressure sensor on the brush handle. This emits a Purple coloured light from the base of the brush to act as a visual indicator. Its handy but not implemented as well as Oral-B’s pressure sensors in our opinion. The final difference between the two is the ways in which they charge. The FlexCare Platinum comes with a fairly conventional charging stand that connects to a 2 pin socket found in UK bathrooms. The brush has a recess on the bottom into which the prong on the charging stand fits and holds the brush upright on the stand. The DiamondClean Smart comes with a glass charging stand. It looks like a tumbler you might take a drink from, simply place the brush in it. It does not have the recess on the bottom of the brush like the FlexCare Platinum and it sits at an angle in the glass. It uses the same technology to charge, but looks more premium although takes up fractionally more space on a worksurface. If one does, then we were unable to tell in everyday use. With the newer DiamondClean Smart comes the new smarter brush heads with built in microchips. All new models and designs there is incredible similarity between these and those available for the FlexCare Connected Platinum. Sonicare do not boast or make mention of any specific brush head enhancements focusing more on the Smart element to them, so we have no reason to believe, nor could we tell from hands on testing that the DiamondClean Smart should offer a better clean than the Platinum. There is too the new cleaning modes. It is not overly clear how these really compare to the older modes and it seems in part they have just been renamed. Both brushes have powerful motors it is more likely to be the particular brush head and users individual circumstances that will influence any cleaning results. Compared to a manual brush you will feel and likely see improvements within weeks if not sooner. Yes the FlexCare Platinum Connected is considerably better priced. It has a recommended retail price (RRP) of £270 compared to the £360-380 of the DiamondClean Smart. At about £100 in it, you might think this is not all that much more. The reality is that the FlexCare Platinum Connected generally sells at around the £130 price point. Of course prices are always changing and this is not a guaranteed price, but as a rough calculation there is now over £200 difference between the two. There needs to be a lot of extra value to justify this price. At the time of writing (just after launch) the DiamondClean Smart was available for a special launch price of £260, so £100 off the RRP but still £100+ over the price of the Platinum. We do expect the Smart to return to the full RRP. You have the choice to buy either brush that you want, if you are happy with the pros and cons of each and prepared to spend the money on it. However, given all the brushes we have tested and when specifically comparing these two models; despite the great features of the DiamondClean Smart, it is almost impossible to justify the extra cost given that the FlexCare Platinum boasts many of the same features. Most notable is the Bluetooth connectivity. The Smart gives very little extra value in this department to suggest it is better. The DiamondClean Smart is stylish, it has a good box contents and the battery life is good too but ultimately the features vs price ratio is a long way in favour of the cheaper, FlexCare Platinum Connected.